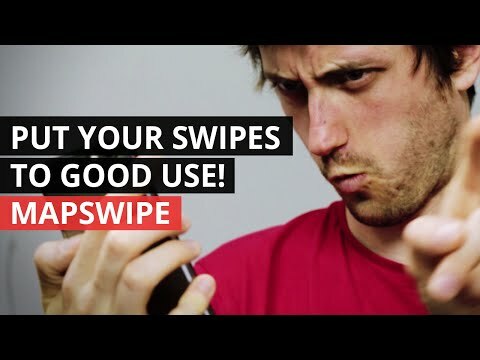 So, your response to MapSwipe has been phenomenal, already! More than 5,000 users are already helping us to put vulnerable communities on the map, so NGOs and local organisations can better reach them with medical care and humanitarian assistance. We have also had an amazing response in terms of feedback and bug reports. This is vital for us to be able to prioritise where we put our efforts going forward with MapSwipe. I want to address the most common of these feedbacks, but also invite everyone to let us know what you think. There are two ways of leaving feedback and reporting bugs. The first is via this feedback form and the second is via the MapSwipe github (more on this below). Many people are reporting that they MapSwipe the same images more than once. This is happening. The reason is that the algorithm chooses the least mapped image for you to work on. As so many people are mapping at once, you will sometimes get this area more than once. Do not worry, this does not mean no-one else is mapping this area. We are working to fix this now. Many users have asked for more in the way of guidance. This relates to what to look for and how to spot it, rather than how to use the app technically. As soon as we found out that you felt this was lacking, we put together a tutorial on the Missing Maps blog. As nearly a thousand people have already been to read it, we see that it is needed! We will integrate it better into the app itself as soon as possible. This is true. It won’t be for long - it’s near the top of the to-do list! We will also be making the app available via the apk for those that don’t use google or iOS app stores. Progress bars are stuck on the individual missions. Yes they are. This is being fixed now. And, don’t worry - the data is safe! Keep mapping! Apologies for this, but at the moment we don’t have the capacity for supporting multiple languages. Huge thanks to all that have offered to translate. Watch this space for news on this in the future. Please keep in mind that this application is brand new, and we understand that it is not yet polished. We’re working as hard as we can to make the experience smoother, so please don’t get discouraged if it doesn’t work quite like it ought to (and please keep submitting those bug reports)! I’d like to leave you with an excellent MapSwipe video made by Map Men. Enjoy!